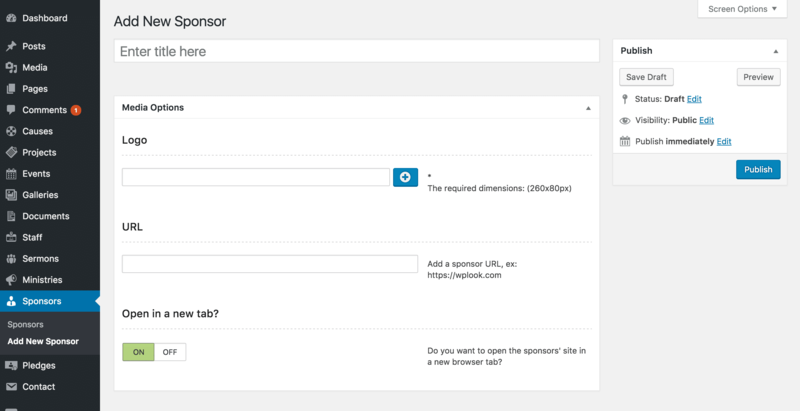 The Sponsors → Add New Sponsor screen. Set this option to On to open the URL in a new tab. Otherwise, it will be opened in the same tab as your site.